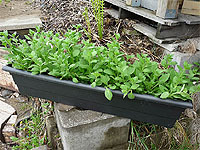 Measure accurately plastic planters that will fit into the window boxes. After confirming the planter size, cut and trim side boards and bottom piece using a table saw. 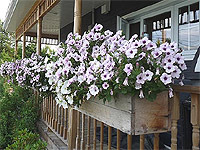 Consider using the cedar wood for its rot-proof properties that improve its durability. 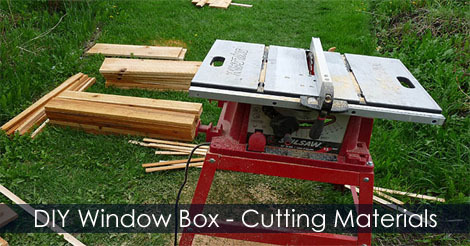 Learn how to measure and cut window box side boards and bottom piece.